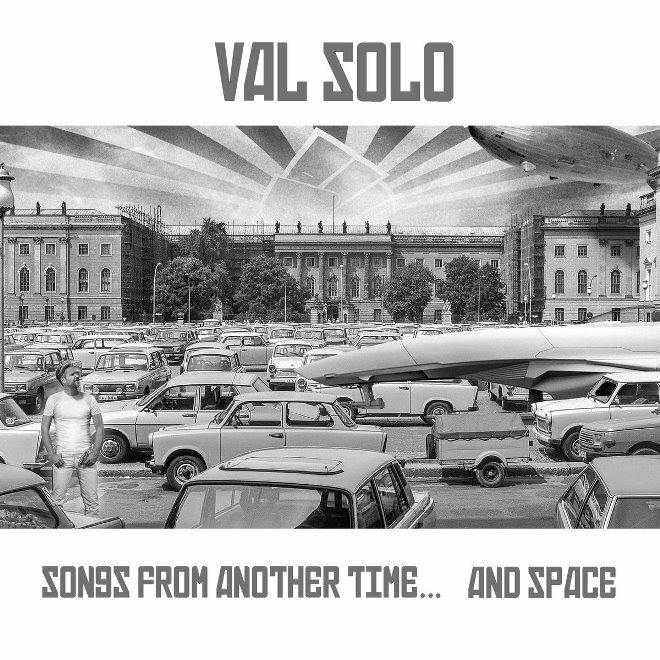 If you describe your influences as the “softer” side of synthpop and cite NIK KERSHAW, HOWARD JONES, YAZOO, HEAVEN 17, together with ABBA and ELECTRIC LIGHT ORCHESTRA as your inspirations and have been making popular synth music since 1983, the good chance is that your name is VAL SOLO. Valdi Solemo started up in Sweden in a Malmö band POP-OUT, before deciding to relocate to Bulgaria to work with some of the cream of local musicians, producing and writing there. The music hungry sound shifter produced DR. FONKENSTEIN, before coming back home after ten years to join S.P.O.C.K. 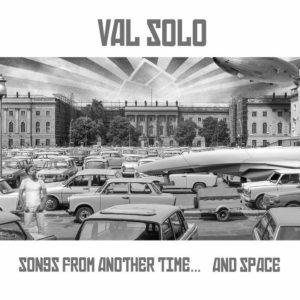 Now, VAL SOLO presents his “alone” project, with the exception of remixes from such recognised figures as Johan Baeckström of DAILY PLANET and NASA’s Patrik Henzel in charge of mastering. ‘Songs from Another Time… And Space’ can be best described as a younger brother to the UK’s own KID KASIO, where the prevailing love affair with the synth during its most prolific era is the theme. The album cover features the music magician surrounded by good old vintage cars depicted in black and white, where Val looks into the future, preserving the feel of the times when life was simpler. 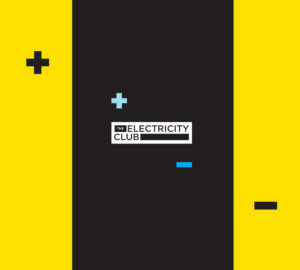 If you’re after a sophisticated, masterfully poignant electronica, you won’t find it here. If however, you’re looking for a cheery, uncomplicated and easy listening pieces to take you back in time, ‘Songs From Another Time… And Space’ are for you. Is it the super vintage ‘Why Would You Tell Me’, the era love affair of ‘Dream Girl (Purple Eyes)’, or the ‘Star Wars’ inspired ‘Party Like A Stormtrooper’ with its synths a la AND ONE, there’s something for everyone here. The latter even bears the musical blueprint of Essex boys MODOVAR. ‘I’m In Space (Cabdriver Dreams)’ is a perfect disco track with its mantric refrain and fun execution in such a way, there’s nothing left to do but let your hair down and party. 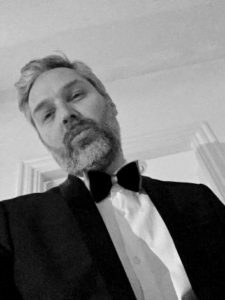 The opening ‘Why Don’t You Talk To Me’ with its additional three remixes, notably one by Johan Baeckström, is the most accomplished number on the opus, reminiscent of YAZOO and early DEPECHE MODE. Who says synthpop has to be serious… VAL SOLO proves that having fun isn’t a bad thing, especially in the world of today, where we are all bombarded with negativity, politics and dystopian ideas. Solo’s “solo” is unostentatious, modest and not at all fussy. It’s music for those willing to be transported to much simpler times, with much purer ideas and uncomplicated rhythms. ‘I Believe’ it’s vital to shed the shackles of the ordinary existence and let yourselves go… “let it happen, life is just what you want it to be”.